This lovely 2nd Floor end unit provides fantastic ocean views coupled w/ bright & charming beach themed decor. It is very comfortable & your family is sure to enjoy this great unit that comes fully equipped & centrally located to all the best area dining, shopping & entertainment! 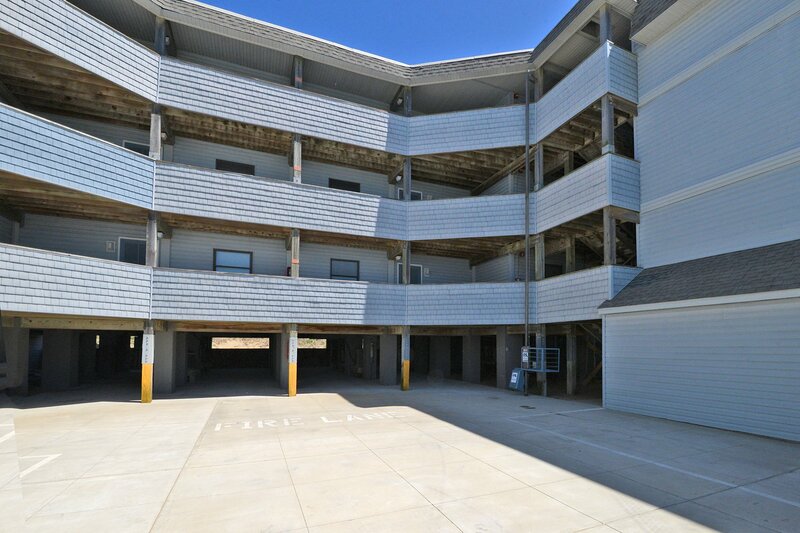 Ground Level: 2 Parking Spaces, Access to Steps to Condo, Cargo Lift, Community Grilling Area w/Picnic Tables, Park Grill, & Beach Access. 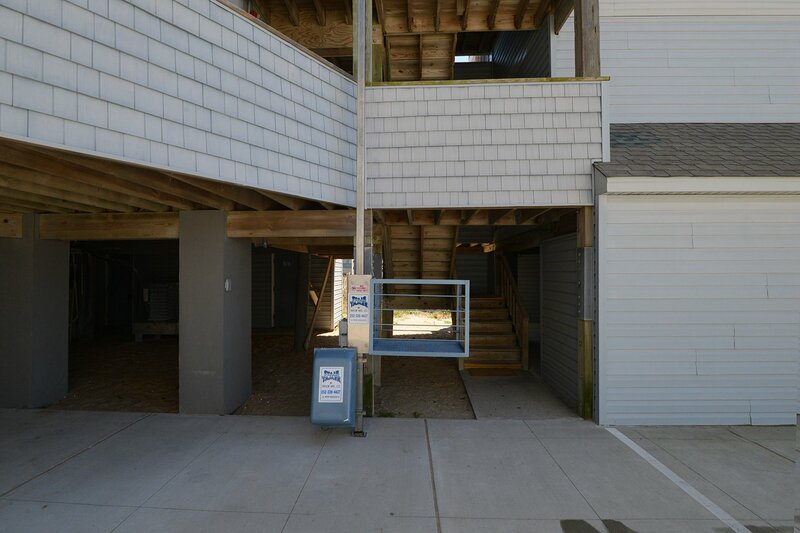 Main Level: Living/Dining/Kitchen Area, TV, DVD, 2 Bedrooms (Oceanfront Master Suite w/Queen, TV, & Full Bath & 1 w/2 Singles & TV), Full Hall Bath, & Covered Porch w/Furniture. Features include: C/AC & Heat, Coin Operated Washer/Dryer On-Site, Dishwasher, Microwave, Phone, 3 TVs, DVD, Wireless Internet, Stereo, 3 Ceiling Fans, & Keyless Entry. No Pets. This is a Non-Smoking Unit. 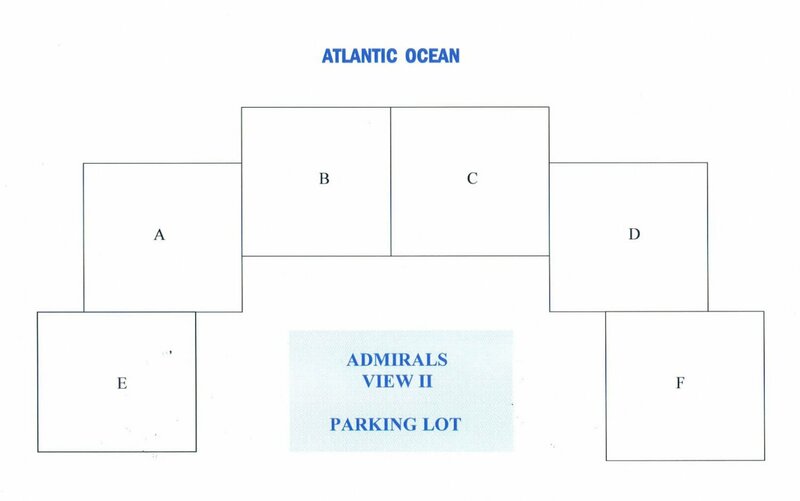 To see more about the community amenities visit Admirals View II Condo information page. The view was fantastic, the best we have ever had! The bed was comfortable and my wife loved the decor. Decorated beautifully for a beach home! Great view! One of the best places we have stayed in since we started coming down here in 1988. Beautiful and great views. The location of this home was ideal for our family. It was an incredible week in such a happy condo. The kitchen was well stocked with anything we needed, the beds were comfortable and the view amazing. The view was awesome!!! The condo decor is very cute & cheerful. TV's in each room although they are small. The beds were comfortable. Dumb waiter helps a lot with luggage. Great location. Very nice, excellent kitchen contents, everything you could possibly need. 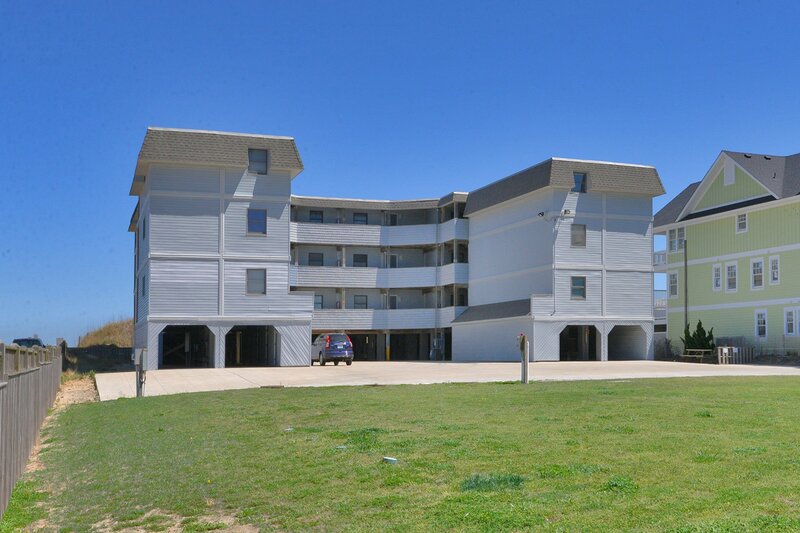 Shamrock by the Sea is a wonderful condo to spend your week at the beach in.. It was decorated with a wonderful beachy theme.. The condo was clean and all the families were very friendly and we had great beach days and peaceful nights! We will be back again & again!! The proximity to the ocean and the views from the condo are amazing! They are the best that we have experienced in all the years we have vacationed in the Outer Banks. This is a great place to stay for beach goers and a place to relax. Great condo! Excellent views and close to everything needed for a weeks stay. This unit has a very clean, bright decor and it's only a few minutes from shopping, restaurants, and the Wright Brothers Memorial. But the best feature of all is the proximity to the beach. Just crack open the master bedroom window and the sound of the surf will send you off to sleep in no time! Excellent location with good proximity to beach. The view from the balcony is stupendous.